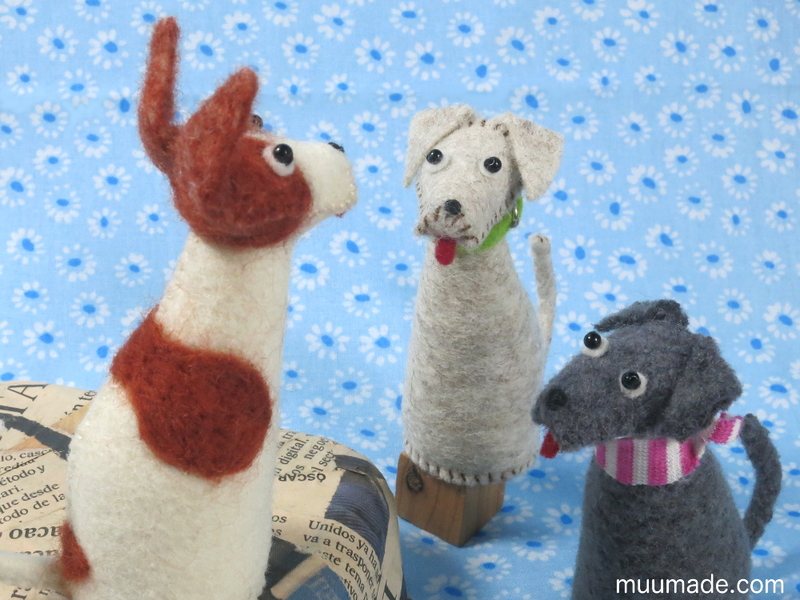 The Simply Simple Dog is a beginner friendly sewing pattern to hand-sew a miniature dog, which is approximately 9 cm (3 1/2″) high. 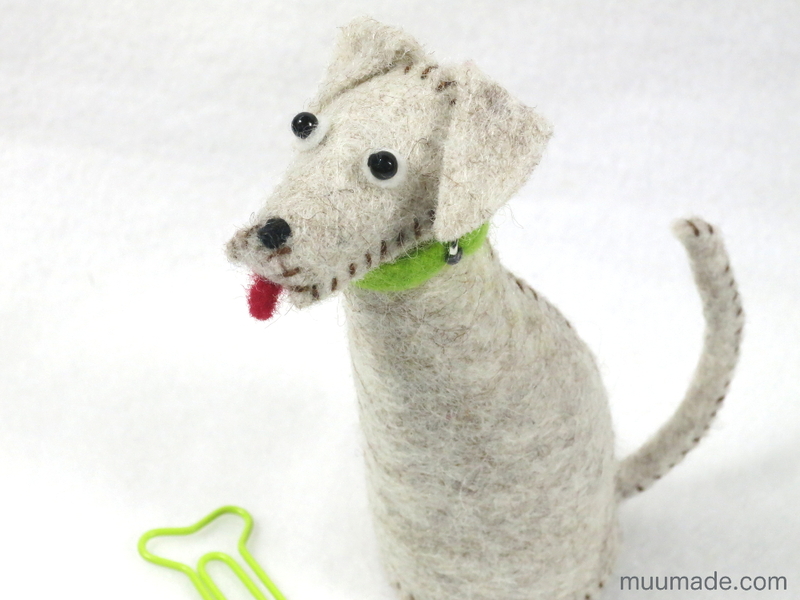 The Simply Simple Dog is modeled after my dear dog Lily, a mixed breed with large beautiful eyes and adorable floppy ears. She was the guard dog for our chickens when I was little. 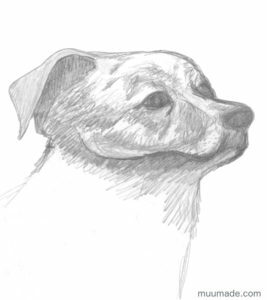 The only thing that remains of Lily is a sketch that I made years ago, but fond memories of that gentle companion still remain vivid in my mind. Dogs come in an amazing variety of breeds. For example, recently I heard about a type of sheepdog, called the Komondor, with dreadlock-like fur which can weigh as much as 15 pounds (7 kg)! 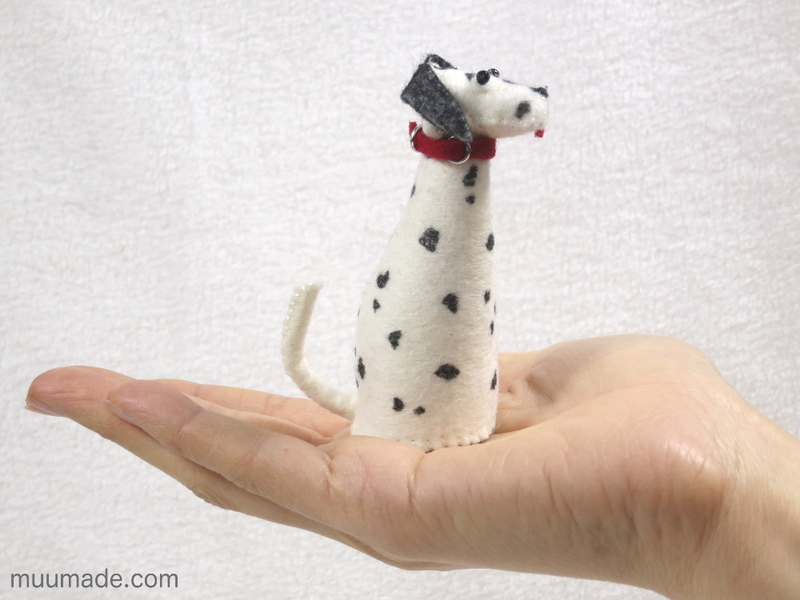 You can choose the Simply Simple Dog‘s color, markings and spots in any way you like. 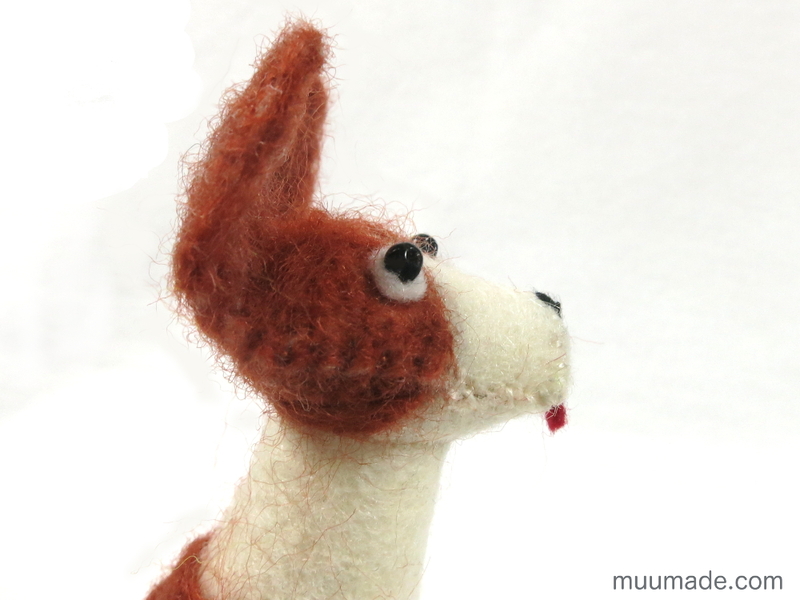 As shown in the above photo, I needled felted the brown markings onto white felt to make a Tenterfield Terrier. I also trimmed its ears a little and left them upright. You can also make the dog’s coat pattern with permanent markers as I did for the above Dalmatian! 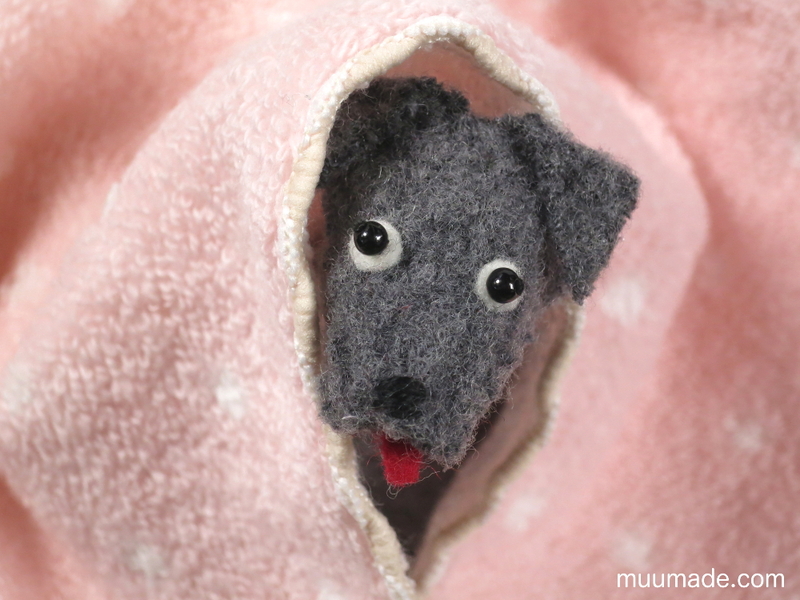 The sewing pattern includes instructions to make a collar, which adds a bit of color to the dog as an accent.